Light-Weight Foldable Stepping Stools 2 Pack- 300lb Capacity Only $14.99! Ships FREE!! 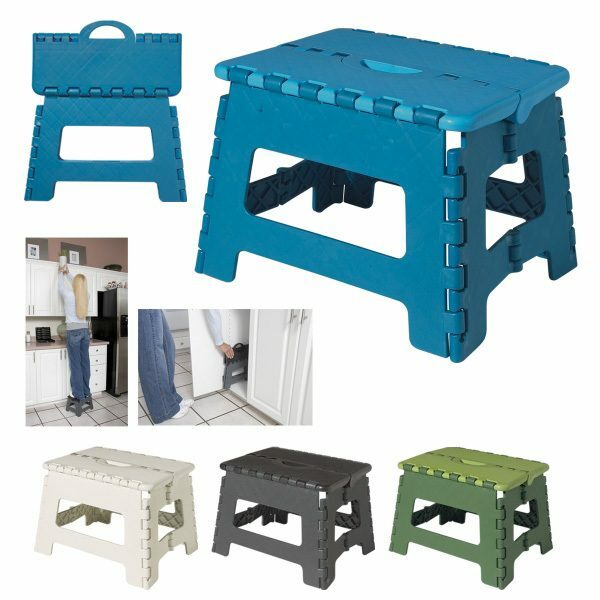 You are here: Home / Great Deals / Light-Weight Foldable Stepping Stools 2 Pack- 300 lb Capacity Only $14.99! Ships FREE!! Light-Weight Foldable Stepping Stools 2 Pack- 300 lb Capacity Only $14.99! Ships FREE!! Perfect for all of us short people! Order the Light-Weight Foldable Stepping Stools 2 Pack– 300 lb Capacity for Only $14.99! Ships FREE!! Hundreds of uses – cleaning, reaching, lifting, sitting, storing, outdoor use & many more! Handy, sturdy, super tough and durable, very easy to store around the house! Perfect for cleaning, reaching, lifting, sitting, storing, outdoor use & many more!